Courtesy of Richmond American Homes. 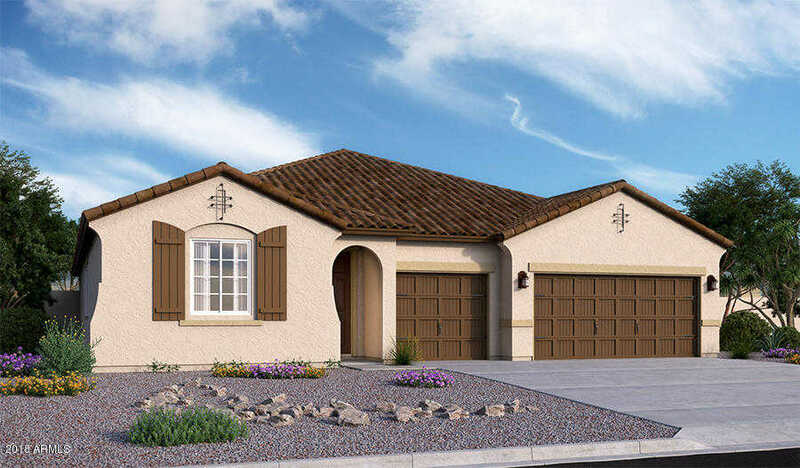 Part of the Mountain Ranch neighborhood in Estrella’s masterplan, The Links offers ranch-style homes with easy access to an array of exciting amenities. Golfers will enjoy the close proximity to The Golf Club of Estrella, an 18-hole championship golf course by Nicklaus Design. If water recreation is more your style, check out the fishing and kayak racing at Estrella’s 72 acres of lakes. Parks and trails are all moments away, as are the shops of Mountain Ranch Marketplace and Starpointe Residents Club–providing 24,200 sq. ft. of fitness facilites, recreation space, a heated lap pool, StarSplash WaterPark! Directions: From I-10, exit Estrella Pkwy head south to san Miguel, West on San Miguel to Westar. South on Westar to Verdin. Approximate size: 10936.00 sq. ft. Please, send me more information on this property: MLS# 5859941 – $358,990 – 18383 W Summerhaven Drive, Goodyear, AZ 85338. I would like to schedule a showing appointment for this property: MLS# 5859941 – $358,990 – 18383 W Summerhaven Drive, Goodyear, AZ 85338.